Resting with your eyes closed is good. A lot of healing occurs while you are asleep. If you have pain you may take pain medications. Usually, it is not painful but only scratchy. You should not drive a car or operate machinery immediately following surgery because your vision will be blurry and you have been given sedating medications. You will be given an eye shield to wear at bedtime the first night to protect your eyes. General Cleanliness: Keep your eyes clean. You may shower and bath as normal. Avoid eye makeup and swimming pools/hot tubs for the first 5 days. You will be given a return appointment time for the day following surgery. Expect your vision to be improved but still blurry. Medications start on the morning after LASIK. (1) Tobradex - use 1 drop 4 times a day for 5 days. (2) Systane tear drops use as needed for dryness or scratchiness. Click for instruction on how to put drops in your eyes. 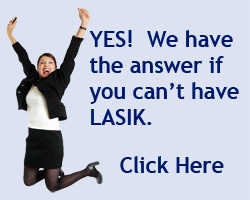 Your vision may vary some for the first 1 - 2 months. Your may notice some light sensitivity/glare until your eye is more healed. With each week the vision will improve and stabilize . You will experience less dryness and scratchiness with each week. Once your eye has healed you can get your driver's license updated. We will ask you to return on postoperative day 1. Following that, Dr. Brems will determine your visit schedule and advise you when to return. The surgery fee will cover all LASIK-related postoperative appointments for one year following the procedure. Call the office (602-200-0770) - After hours the answering service will contact the doctor.